Historical context is an important starting point for understanding the past. But if we are to understand the present, it cannot also be the endpoint. Napoleon in defeat: historical context is not necessary for understanding thugs. 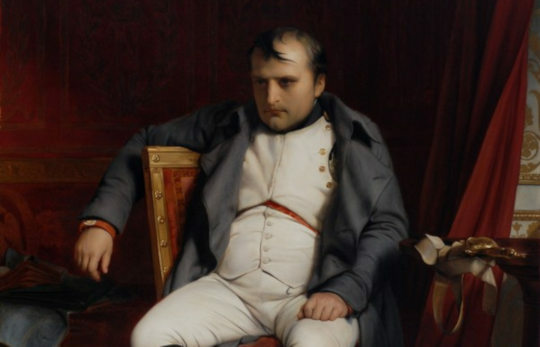 After this abdication, Napoléon was exiled to Elba only to subsequently escape and return, raise another army, and once again begin slaughtering innocent people to feed his wealth and narcissism. People should be judged within their historical context. I was speaking at one of the most prestigious universities in the county about my book. I was considering the horrors generated by conquerors, specifically Alexander, Julius Caesar, and Napoléon. The speaker who made the above comment was a respected scholar from the Department of History there. I had heard the same objection from other historians, and I had given some thought to the problem of historical context. So I pointed out to her that as a physician and a research biologist, I’m a scientist, not an historian. I wasn’t attempting traditional historical research, and I wasn’t interested in any particular historical period. I was interested in all of history, and I was taking a scientist’s view in order to consider consistent, repeated patterns throughout civilization. She was collegial, but persistent. “To understand Napoléon, we should study his times, and the forces that shaped him and pushed him toward his conquest of Europe.” I responded that the historical context provides little help here: no one forced Napoléon to do what he did. No country attacked France. Instead, without provocation, Napoléon led the French to go out and slaughter, rob, and subjugate millions of peaceful, innocent people, in order to feed Napoléon’s wealth and narcissism. She did not appear convinced, but nevertheless politely dropped the topic. Since then I have given more thought to the problem of historical context. An important insight in my work is that Napoleon’s behavior was basically the same as all conquerors throughout history, including Alexander, Julius Caesar, and even Hitler. If a behavior is consistent among many people, regardless of historical context, then it suggests that the historical context is secondary, or even unimportant.1)Upon writing this, it occurs to that science focuses on phenomena which exhibit great repeatability. As a pattern becomes more consistent, the topic moves into science; as a pattern become fuzzier and less consistent, it moves into the humanities. Psychology and anthropology aren’t clearly one or the other, so at some universities they are included in the sciences, at others they are housed in liberal arts, and at a few, I am told, they are part of the college of education. This idea of analyzing historical figures only within their historical context represents a paradigm, and a recent paradigm, at that. Earlier historians were very generous in their moralizing, and in critiquing earlier figures from their own sensibilities. The modern approach is to reject that approach, but for my objectives, I reject that position in turn. I am very much moralizing. I can see no other path: if we are to use history to sound warnings about modern perils, if we are to learn from the past to create a better world, then I don’t see how moralizing can be avoided. In considering the different stages and conditions of human history and comparing them to our own, we must decide which is the better strategy for our condition, theirs, or ours. We must make value judgments, and moralize: some historical situations were better than others. Consider that Vico, Voltaire, Kant, Marx, and many other philosophers and historians attempted a philosophy of history. They tried to draw moral meaning from history, and to convince us that there is an ascent to human progress. These critical2)Pun intended. approaches would not be possible if they had limited themselves to analyzing people and events solely within their historical contexts. Which is my overriding concern here: if we remain entirely within various historical contexts, if we cannot look across history for patterns, insights, and yes, even morals, then history starts to become a sterile discipline, one divorced from any functionality. 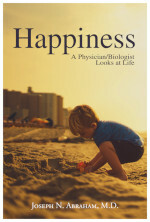 It becomes what biology was before Darwin, a gentleman’s diversion, a collection of oddities which serve little purpose beyond serving as an upper crust hobby, a shiboleth to show that one had ample time and money for distractions, and to prove one’s status within the leisure class. So if we were only to examine the past through historical context, then history would become of limited use to the citizen and the democracy. Fortunately, that is not the case. As I have thought about it, however, I would only slightly alter the historian’s opening proscription: “People should be judged by starting with their historical context.” The context should be the first step, but it should not be the last. The historical context should only be one item in the scholar’s toolbox, a lumberman’s saw for felling the facts of history. But after that, other, finer tools must be used if we are to shape the timber into useful ideas. Detail from Delaroche’s ‘Napoléon abdiquant à Fontainebleau‘ (“Napoléon abdicating at Fontainebleau”). 1. ↑ Upon writing this, it occurs to that science focuses on phenomena which exhibit great repeatability. As a pattern becomes more consistent, the topic moves into science; as a pattern become fuzzier and less consistent, it moves into the humanities. Psychology and anthropology aren’t clearly one or the other, so at some universities they are included in the sciences, at others they are housed in liberal arts, and at a few, I am told, they are part of the college of education.